For many of us, it seems more obvious in the summer months that we have “too much stuff.” We are home a lot more. We have out-of-town guests visiting and even though summer is not considered a “holiday” in and of itself, we are conditioned to create traditions and rituals. For example, we buy extra sunglasses or suntan lotion because we forgot to add it to our packing list for the Labor Day camping trip.We have family reunions and summer vacations – where matching t-shirts and memorabilia are created and collected. In the summer, we are used to buying, creating and preparing for our events – but less inclined to put it away. 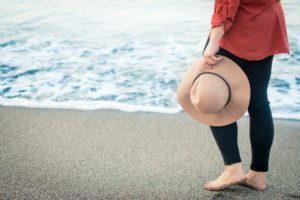 Because it is summer we are under a false impression that we have more time when in reality we don’t have a method or system to deal with the aftermath of our summer parties and events. Most folks seem to suffer with the same kinds of summer clutter. Review this list to see if you are plagued with any of this summer clutter. If you find a category of clutter you want to tackle, take just 15 minutes and review the category. Decluttering and organizing can be quick and satisfying if you work with intention. Whether they are located on your mobile device on your bedside table, it’s time to review your book pile. 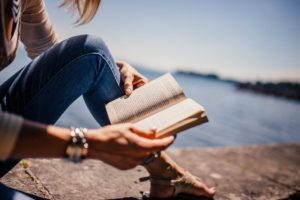 These are the books you “intended” to read while at the beach, pool, or cabin this summer. First of all, look at the books and prioritize them. Take the other books and either eliminate them or store them in another location. 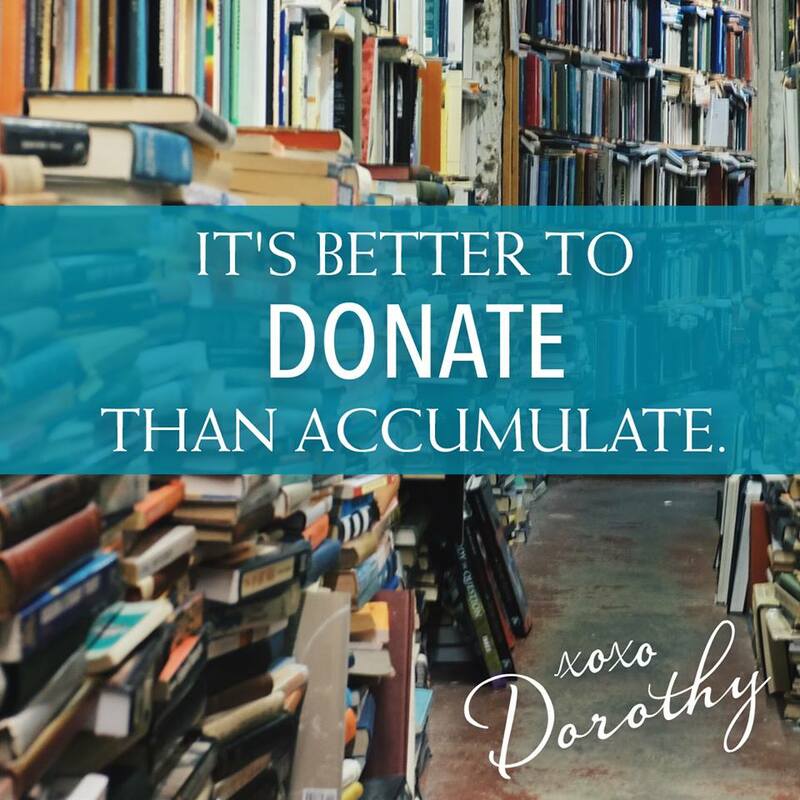 Keep just one book available to minimize the clutter. By doing this you also quiet that passing judgement that you’ve NOT read all the books you just bought. A sudden rain storm prompts us to buy an umbrella. A sunburn from yesterday requires we find a big-brimmed hat and extra sun tan lotion. Flip flops are left behind and another pair is needed now. You sat on your sunglasses and can’t stop squinting until you find another pair. The weather channel said it would be hot, and you packed accordingly and now you need a sweatshirt. Do any of these sound familiar? Whether we like the item or not, we make these purchases on the fly when traveling then feel an obligation to keep them once we are home. Rather than automatically keeping and storing all the new purchases, compare the new item you bought with the old item you already own. Pick the best and say goodbye to the rest. Concert programs, foreign money, ticket stubs, maps, menus, pictures from the photo booth. 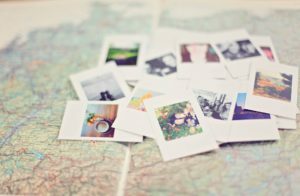 Nearly everyone likes to hold onto a fun momento from a trip or summer experience and why not? The question is – when you return does this important momento end up in the junk drawer or does it make its way into a special place? Too often these sweet memories are left to “co-mingle” with less important things on the kitchen counter or office desk. Receipts, bag tags, extra shoe laces, a broken necklace, hotel key cards, maps from the car rental reservation desk all “seem” like post-vacation memorabilia but – it’s just unsorted stuff posing as memorabilia. Take 10 minutes to review the items you’ve unpacked and keep the important stuff in a memory box or drawer and eliminate (or shred) the rest. There is something nostalgic about stopping along a meandering road to buy cherries or hunt through antique shops and farm-town yard sales while driving with the family on vacation. The item jumps out – your favorite record album, a toy from your childhood, a certain set of cups your mother and father used when they had parties. Without any regard for room in your suitcase, you buy it and boom – more household clutter. 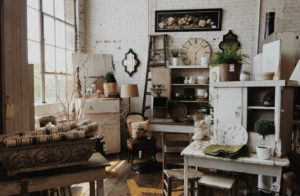 Like memorabilia, take a moment to review your vintage finds. Ask yourself if you would rather store it for the future, sell it, or use it or give it away. Whatever your decision, take action and make a note in your calendar to handle the tasks. 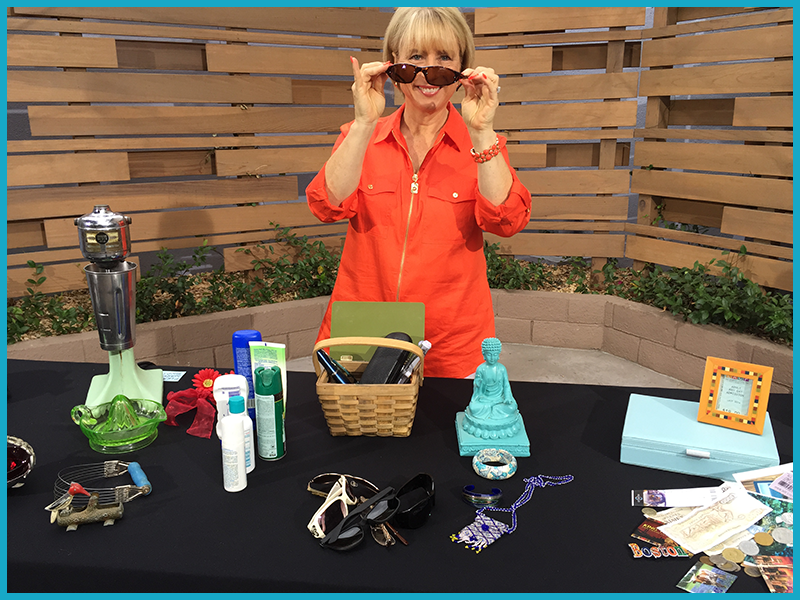 Watch Our Summer Declutter Segment on KTLA 5 Here! Need a little organization inspiration? 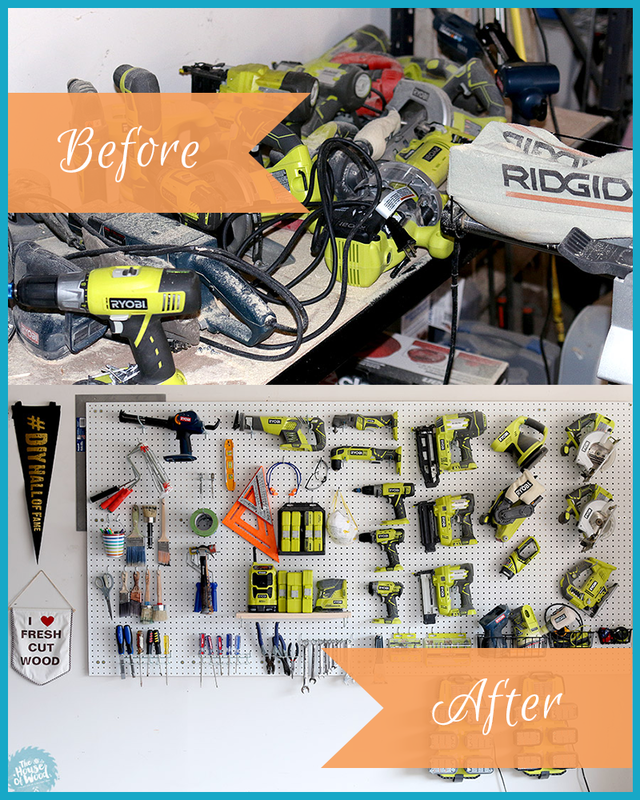 Consider using a pegboard when organizing the tool zone in your garage!